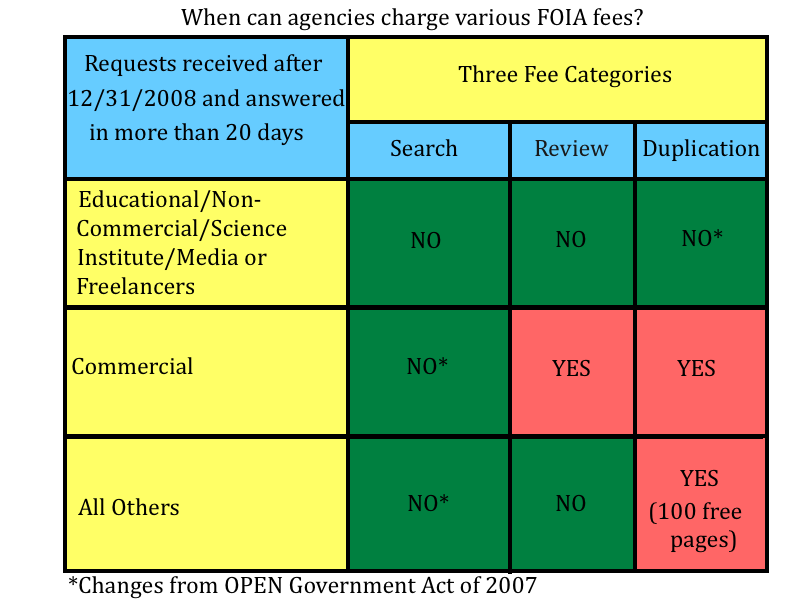 The Department of Justice Office of Information Policy (OIP) has issued good FOIA fee guidance that clearly lays out for agencies the limitations the FOIA Improvement Act of 2016 places on their ability to assess fees. 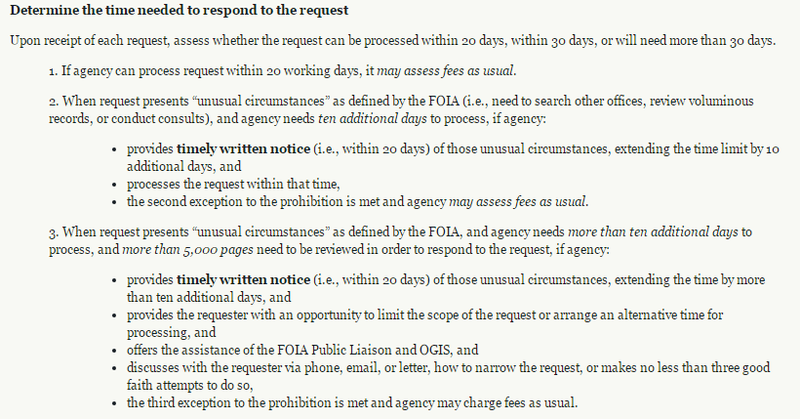 Importantly, the guidance reminds agencies that “unusual circumstances,” which agencies routinely cite when processing FOIA requests while continuing to assess fees as usual, are extremely limited and must meet strict thresholds to qualify as “unusual.” In cases where that threshold is not met, most fees cannot be assessed; OIP also emphasizes that if the request involves 5,000 pages or less and agencies take over 30 days to respond, most fees may not be charged. The strong guidance – which should result in agencies charging much fewer fees going forward – is good to see from OIP; the next step will be ensuring that the Office of Management and Budget follows through on recommendations by the FOIA Advisory Committee to update its three-decade-old fee guidelines. “(1) Within six months each Senior Agency Official for Records Management, working with the National Archives and Records Administration (NARA), shall develop and implement agency-wide records management training for all agency employees and contractors performing agency functions. 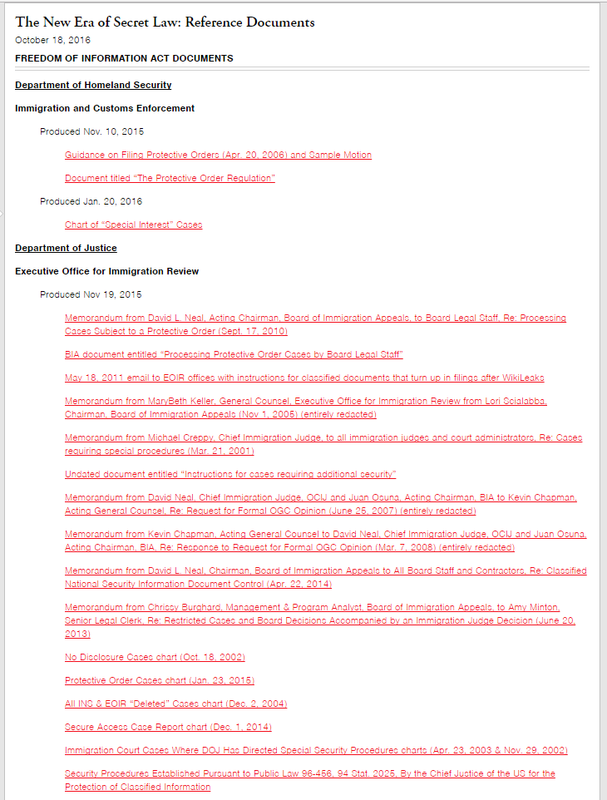 (3) Within nine months each Inspector General, working with each Senior Agency Official for Records Management, shall report to the agency head on steps the agency has taken with respect to subparagraphs (1) and (2). (4) Within 12 months the head of each agency or designated senior agency official shall report to the President on the status of the agency’s compliance with the August 24, 2012 OMB memorandum. The creeping practice of agencies seeking unwritten advice from OLC is controversial. In November 2015 two of the government’s top lawyers told American Bar Association Standing Committee on National Security Law attendees that agencies are shying away from OLC opinions in favor of seeking “informal” and unwritten advice out of concerns the OLC opinions will be sought under the FOIA. The CIA’s General Counsel Caroline Krass told the audience, and acting OLC head Karl Thompson confirmed her assessment, that FOIA has “served as a deterrent to some in terms of coming to the office to ask for a formal opinion.” (Goitein and the ACLU’s Brett Max Kaufman forcefully rebutted Krass and Thompson’s assertions in a series of postings for Just Security that same month). The House Oversight and Government Reform Committee sent a letter to the DOJ in March 2016 “seeking, among other things, documents showing how many FOIA requests for OLC opinions OLC received between 2005 and 2015, and “Documents sufficient to show whether OLC, or the Department more generally, utilizes any automatic program, such as Capstone, for Federal Records Act purposes.” As far as this author knows, no response has been published. On July 15, 1969, Honduran radio networks, using the country’s recent World Cup qualifier loss to El Salvador as pretext for violence, encouraged listeners “to grab machetes or other weapons and move to the front to assist the army” in its 4-day war against their Salvadoran neighbors. 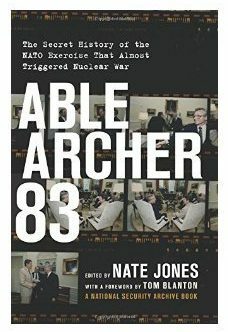 The Archive’s Nate Jones recently joined the Wilson Center’s Sports in the Cold War podcast to discuss how the contentious match combined with political tensions over immigration and an ill-defined border to spark the so-called “The Football War” – and how declassified Central Intelligence Bulletins and President’s Daily Briefs obtained through the Freedom of Information Act provide a vivid day-by-day account of the incident. Listen here.